I’m telling you, I am the laziest person on earth to wear any sort of cream or mask or anything related. But I told myself recently, I need to stop this ridiculous laziness!! 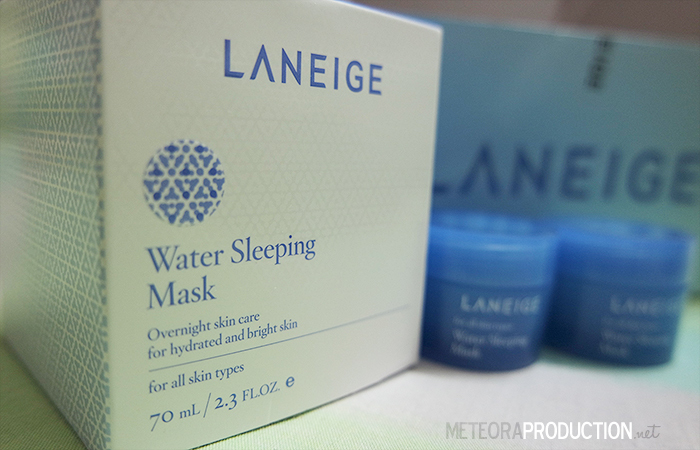 For a start, I wanted to give it a try on this “Laneige Water Sleeping Mask” – so last Wednesday I purchase it online, and yayyy, it has already arrived today! The pack comes with extra 2 small travel pack of the same mask + 1 facial multi cleanser (which didn’t get to make it into this picture, as I have already used it :P). p/s: By the wat, during my college years – I just use soap for hair + face + body, 3-in-1, can you imagine? lol.